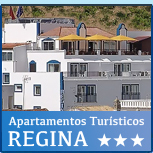 The information contained and accessed on the gale-albufeira.com site is for general use, providing users with general information. Applicability of the law may vary from case to case, depending on such factors as activity, geographical location, or other facts of a legal nature. The information provided by this website may contain omissions or inaccuracies. Every effort is made to ensure that all information is obtained from reliable sources. However, Hotel da Galé ** accepts no liability for any errors or omissions, nor for the outcoming resulting from the use of this information. The user agrees that the information provided by this website is supplied as it is, and that its authors are not bound to provide any form of professional advice nor any other type of related service. The site should not be used as a substitute for consultation with a professional. If in doubt and before taking any decision or action, you should consult a professional from Hotel da Galé **. 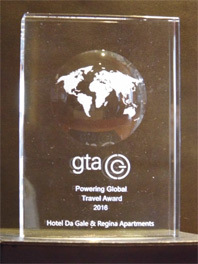 Hotel da Galé **, its partners or associate corporations, agents and employees accept no responsability whatsoever for any decision or action taken based on the information provided by this website, nor for any consequences, damage or similar or special occurrence, even when advised of the possibility of such damage. Some links contained in this website lead to other sites maintained and managed by third parties over which Hotel da Galé ** has no control, and is not responsible for the content thereof. Hotel da Galé ** has an e-commerce system permitting electronic payment. Although it is SSL protected with an encryption key, there is a remote possibility that communications may be interfered, resulting when a third party gains control of the communication’s content. In cases of fraud, Hotel da Galé ** shall make every effort provided in law to bring the perpetrators to justice. Hotel da Galé ** is aware of its users’ desire for privacy. We are committed to safeguarding our users’ and guests’ privacy in accordance with data-protection and user-privacy practices covering our users throughout the world. Hotel da Galé ** shall not divulge your personal information to third parties without your consent, as required by law. We may gather personal information through surveys and registration forms, and whenever we receive an e-mail with your details. All such forms containing personal information are clearly marked and are not disguised. We also gather information automatically whenever you visit our website. This information is gathered in mass, without users being identified, and is used to compile statistics on website hits. Any information gathered in this way, including demographic information and web-surfing patterns, is used only in aggregated form. We use our guests’ contact information provided on our registration forms to contact you whenever necessary, and also to provide regular information on Hotel da Galé **. Users can choose to be removed from our mailing lists. · provide you with information on our products and services. If you do not wish to receive information on our products or services, or those provided jointly with or on behalf of other organizations, please click on the relevant box on the registration form. · to enable us to audit the use of our website. We do not use ‘cookies’ to identify you when you visit gale-albufeira.com. A cookie is a small item of information sent by a web server to a web browser, enabling the server to gather information from the browser. From time to time you may receive e-mails from us containing newsletters or other information. Those newsletters contain information about new features on our website. Our site enables users to choose not to receive direct communications from us. Because the Internet is a world-wide facility, its use to compile and process personal data necessarily involves transmitting data internationally. As such, when you visit gale-albufeira.com and communicate electronically with us, you accept our practice of processing individual data in this way. 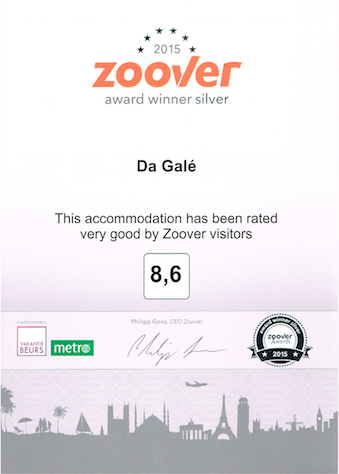 Hotel da Galé ** reserves the right to alter any part of its website at its own discretion. The company’s policy is to continually update and improve the site. Consequently, Hotel da Galé ** may wish to amend the present terms and conditions (including those related to the use of content). Where the terms and conditions are amended, you will be notified of the details of such amendments by e-mail, or they will be published, and they will be appended to the present terms and conditions. Should you use the website after those new conditions are published, or after you have been notified of the changes, you agree to be acquainted with those amendments. Should you not agree with the amendments, you should cease to use the website once those amendments are appended to the present terms and conditions, or after you have been notified that such amendments have been made. You may not pledge, sublicense, or alternatively transfer any of your rights provided under the present terms and conditions. Where any provision in the present terms and conditions is declared null and void by a competent court, the nullity of that provision shall not affect the validity of the remaining provisions set forth herein, which shall remain in force. Provisions set forth in the present terms and conditions are for information, and shall have no legal effect or significance. If you have any doubts concerning this privacy statement or the practices followed by this website, please contact us.